Going on vacation in the Alps in winter is a wonderful idea. But you still have to choose the type of holidays you want. 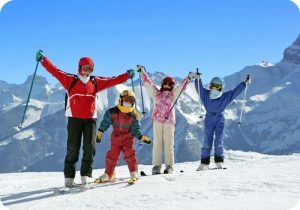 Do you want sports holidays where you spend the whole day on the slopes? Or relaxing holidays enjoying some spa time? You can also choose to discover nature in winter in the moutains. Let us present you some types of winter holidays so you can make your decision more easily. If you love skiing, then you probably want to make the most of your holidays to try all the slopes of the resort and improve your technique. For this type of holiday, you should probably rent your accomodation really close from the slopes and look for special deals between equipment rental stores and hotels for example. Other resorts also offer experiences like dog sledding, skydiving, fat bike riding, ski joering… There are so many activities to try! If you want to rest and relax during your holidays and like to be pampered then you’d better stay in a high-end residence like MGM. They have spa and wellness areas where you can spoil yourself with massages, pools, saunas but also exercise indoor with their fitness equipment. If you want to enjoy the fresh air and go discover the moutains, choose a resort with hiking trails so that you can go explore the wilderness by foot or in snowshoes. This is a very peaceful activity which allows to relax and take great pictures as well.